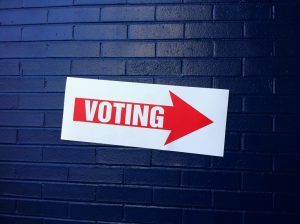 In a Tuesday morning vote, Maryland Senators passed Senate Bill 449 that would allow individuals to register to vote and then subsequently cast their ballots on Election Day. To register to vote, these individuals would be required to bring a state-issued photo ID (or other official document recognized by the State Board of Elections) to a polling place within their county of residence and then subsequently visit with an election judge to complete the registration process and vote. With the passage of this legislation, Maryland would join sixteen other states as well as the District of Columbia in permitting the practice. Sponsored by Senate Education, Health, and Environmental Affairs Committee Chairman Paul Pinsky (District 22 – Prince George’s), Senate Bill 449 is seen is a major step forward in increasing voter access and participation throughout Maryland. Joining Chairman Pinsky in sponsorship of the legislation are cosponsoring Senators Augustine (District 47 – Prince George’s), Carter (District 41 – Baltimore City), Ellis (District 28 – Charles), Feldman (District 15 – Montgomery), Guzzone (District 13 – Howard), Kagan (District 17 – Montgomery), King (District 39 – Montgomery), Klausmeier (District 8 – Baltimore County), Lam (District 12 – Baltimore and Howard Counties), Lee (District 16 – Montgomery), Miller (District 27 – Prince George’s, Charles, and Calvert), Peters (District 23 – Prince George’s), Rosapepe (District 21 – Prince George’s and Anne Arundel), Smith (District 20 – Montgomery), Waldstreicher (District 18 – Montgomery), Washington (District 43 – Baltimore City), Young (District 3 – Frederick), and Zucker (District 14 – Montgomery). An amended version of Senate Bill 449 previously passed the House of Delegates on March 29th. Upon agreeing to that amended version this morning, the Senate now sends the legislation to the desk of Governor Hogan to be approved or vetoed. If a bill is presented to the Governor during the legislative session, the Governor has 6 days to sign the bill, veto it, or let it go into effect without his signature. The 2019 General Assembly Session adjourns at midnight on Tuesday, April 9th.